Dawnmarie Cooper has always enjoyed helping people through volunteering. 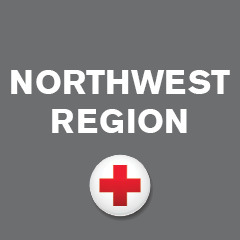 Joining the Red Cross has become yet another way for her to support the South Seattle community she has lived in for 30 years. Last fall, shortly after she retired from a career as a Washington State employee, she started taking a wide range of Red Cross classes: ones on disaster assessment and recovery. First aid. Defensive driving. Sheltering people affected by disaster. Then she began volunteering with the King County Disaster Action Teams (DAT), going out to assist people whose homes were damaged by fire. She’s staffed shelters, including one after the Auburn Heritage Building fire. It wasn’t long before someone in Red Cross asked whether she could also do casework, to assist people with disaster recovery resources and support to get back to a more normal life. She’s even helped out at smoke alarm installation events. Like many people who volunteer with the Red Cross, she too has a personal connection with the organization, which helped her mother and aunt after Hurricane Katrina in her native New Orleans. Passionate about the foods she grew up with, Dawnmarie whips up Southern cooking favorites to feed the homeless every Sunday with the grassroots Rainier Popup Kitchen neighborhood group. In the fall she referees Seattle Parks and Recreation basketball games. In the spring, she does timing at Seattle Parks track meets.